Three months ago I moved to a new apartment. In my old apartment with my old oven, my baked goods turned out pretty well. However, since I moved, my baked goods vary from almost-good to throw-it-in-the-garbage instantly. First I thought I had to get used to the new oven, so I made adjustments to the temperature and so on. Still I just get very sad every time. The oven is over 30 years old, so I think I have to conclude; I need a new one. 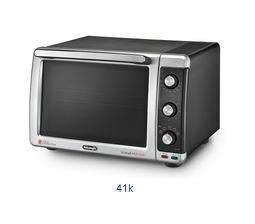 Here in the Netherlands combo-ovens, which are an oven and microwave in one, are very popular. I'm not interested in the microwave part, so the quality of the microwave is not essential assuming one is in the machine. Prices vary widely, while specifications do not. Are there some brands or types which can be recommended? I would like to show you the options that I've disregarded, yet I don't even have a clue where to start at all! 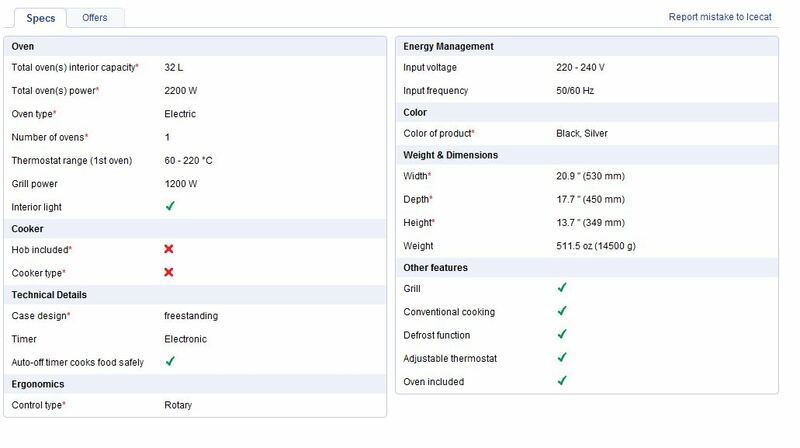 I am hoping to hear some good advice on how to select an oven to fit this criteria. -edit- I start doing some more research. And this is one criteria that must be met for me: I want top and bottem heat. However, this is not the case in most ovens I can find, and sometimes it is not specified. Maybe I should conclude that it is not the case then? Does anyone know the influence of only top heat? Furthermore my research ended in some options. Prices and types vary, but I can not really tell the difference from the specifications. 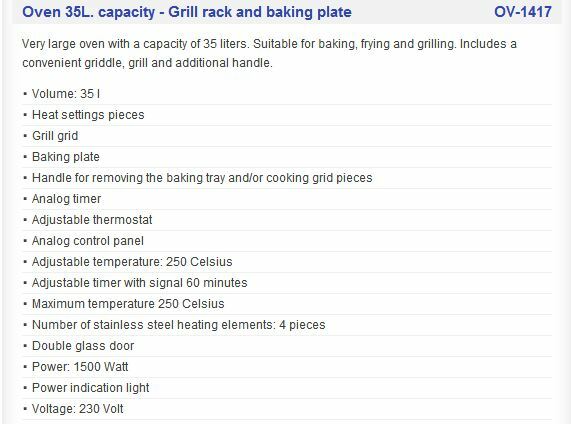 For example, what does the number of WATT says about the specification of the oven? -They have a volume of around 35 liter. I make pretty large plates, especially cakes. I want enough space in my oven, but maybe I am exaggerating and 24 liters really is enough for home use? I know this are a lot of questions at the same time. Basically I want a good advice, and feedback about buying an oven. I want to know I a forget any criteria that are important. Also I want to know how you can know ffrom specifications what is a good oven. Can you know quality difference from it? Or is the only way read experience from other people and base my opinion on that? If someone can tell me how I know which oven is a good one, you helped me a lot! Thanks a lot! You probably have already purchased an oven at this point, but this video from America's Test Kitchen seems to explain a lot of things and offers some purchasing suggestions. The model they recommend is the Breville Smart Oven, however it is made for the US and I could not seem to find a version made for 230V outlets. A reviewer suggested using a "step down transformer," but I don't have any experience with using US appliances in other countries so use your own judgement here. If you've already purchased an oven, please let us know what you got and how it turned out! 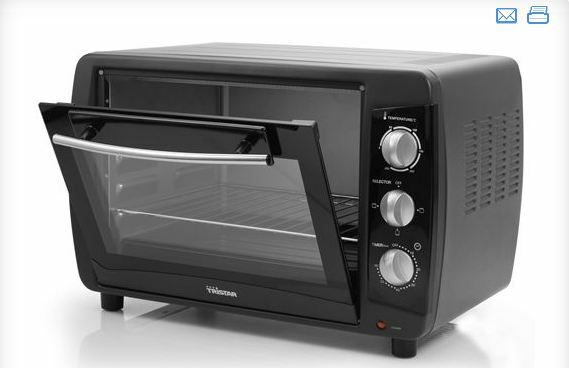 I find the idea of using a small toaster oven for heavy duty baking fascinating and would love to hear if you were able to make it work. I was always told that electric ovens bake better that gas. They have a more even heat since they have a heat element on the top and bottom. Gas heats from the bottom, making my baked goods cook on the bottom faster and leaving the middle taking longer, then I end up with dark crusts and dry casseroles. An appliance older than 15 years is probably due to be replaced anyway. Not the answer you're looking for? Browse other questions tagged equipment oven shopping or ask your own question. What features should I look for in a fireplace grill? Can I roast nuts in a convection microwave oven? How does grill/broil mode in a convection oven work? How long should I wait for my gas oven to heat up? Should my oven have a hole like this?